In the new short film Brave Girl Rising, Nasro, a 17-year-old Somali refugee, shares her story from the Dadaab refugee camp in Kenya. Every day, Nasro fights for her basic survival, safety and access to the one thing that gives her hope for the future: her education. Created by Girl Rising, a global non-profit that uses storytelling to expand girls access to education, the film is in five parts, each set to original poetry by renowned British-Somali poet Warsan Shire (once a refugee herself) and narrated by actress Tessa Thompson. In celebration of International Women’s Day 2019, Girl Rising, along with the support of HP and other partners, produced Brave Girl Rising to draw attention to the mass displacement crisis that currently impacts more than 68 million people around the world. Since war broke out in Somalia in the early 1990s, nearly 20 percent of the population has been displaced by crisis caused by conflict, flooding and drought. Of the more than 68 million people displaced worldwide, more than half are women and children. Like Nasro, they face obstacles on the road to education, largely due to a lack of resources and long-held cultural beliefs about women’s place in society. The UN estimates there are 20 percent more refugee boys in primary school than refugee girls. In secondary school, the gap jumps to 30 percent. And, one out of five refugee girls will be victims of sexual violence. Despite the challenges she faces, Nasro is full of hope and is at the top of her class in school — her lifeline to a better future. Typically, the Girl Rising team searches for writers from the region or country most relevant to the story they’re telling — their 2013 documentary Girl Rising featured writers from nine different countries. But a story about refugees isn’t about a specific country or place — it’s about an experience. The producers consulted people who worked on the front lines in refugee centers including experts at the International Rescue Committee (IRC) to find the right person to write Nasro’s story. 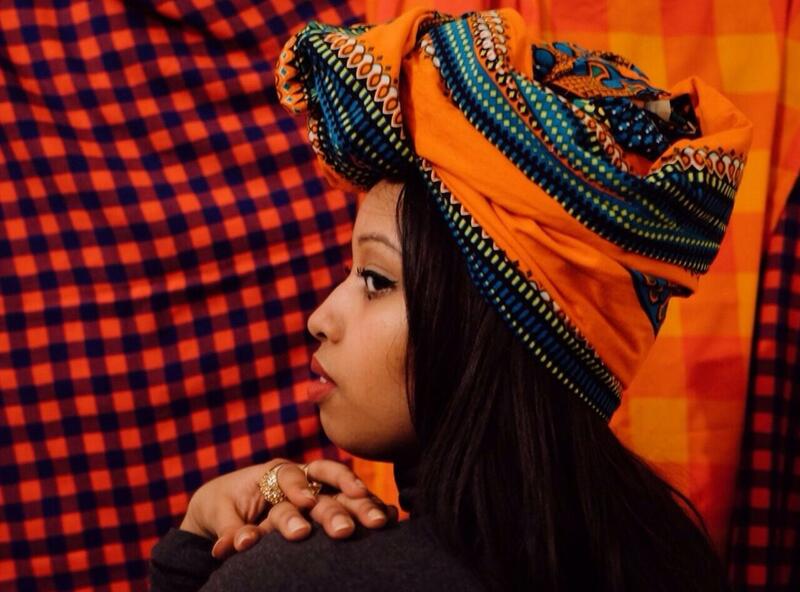 All signs pointed to Kenyan-born British poet and activist Warsan Shire. Named the first ever Young Poet Laureate for London in 2013, Shire won the inaugural Brunel University African Poetry Prize the same year. Her work was featured at length in Beyonce’s acclaimed album and film Lemonade. Shire’s words, particularly the poem "Conversations about Home (at a deportation center)," which is featured in Brave Girl Rising, has become an anthem for refugees and advocates for refugee rights. Shire and Nasro formed a quick bond, Skyping each other often. Nasro, eager to share her stories, would go to the IRC compound in Dadaab just to talk with Shire. “We became very close ... it was never lost on me how special this experience is,” says Shire. “We spoke often about everything from childhood memories to popular culture. I felt a lot of guilt and grief when I would finish speaking with her, and it made me contemplate the many versions of ourselves that could exist and how life would be so different for her if certain things hadn’t happened the way they did." Over the course of the 20-minute film, we follow Nasro through her life in Dadaab. She dreams not only of her lost mother and her home that was viciously ripped away, but also of an alternate reality where war had never forced families like hers to flee their homes. Shire’s poetry, narrated by the actress Tessa Thompson, an activist in her own right and co-founder of the Hollywood Time’s Up movement, brings audiences into Nasro’s internal monologue. The result is a film that speaks honestly and authentically about Nasro’s circumstances and her dreams of a better future. Corporate sponsors including HP and Citi also helped make Brave Girl Rising possible and support other Girl Rising initiatives. At the official New York premiere of the film, HP’s global head of strategic programs, Michele Malejki, talked about why the project was so important for HP. In addition to the film, Girl Rising made the completed screenplay, a discussion and curriculum guide and shareable social media material available for anyone interested in hosting a screening and facilitating a conversation. According to Adams, watching and sharing the film is the first step in coming to understand a crisis that can be overwhelming. More than anything, the film is an effort to use powerful storytelling to inspire people to learn more about and get involved with the refugee emergency. Learn about a program to support and educate Syrian refugee children in Lebanon.